1. College building, Facilities, Faculty staff are very good.2. Bus services are provide for up-down students.3. Hostel facility with all accommodation is available and every festival is celebrated for hostler students.4. Environment of college is strict according to situation. Its all good no dout all very helpful and enjoyful moment. Fabulous with Good and bad moments. Good in infrastructure and education. The overall journey in this college is satisfactory. The campus of this college is beautiful and worth spending time. However placement records are not very good. 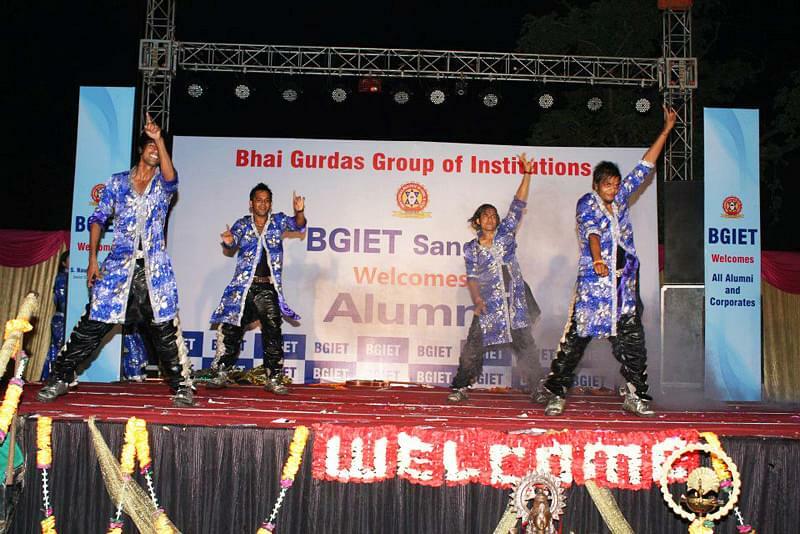 Bhai Gurdas Institute of Engineering & Technology, Sangrur (BGIET) was established in the year 2002 under the patronage of Bhai Gurdas Technical Education Trust. The institute is responsible for imparting value added, quality based and goal oriented education through latest technical & non-technical resources which meet the international standards. The institute has been accredited by NBA and it is affiliated to PTU (Punjab Technical University), Jalandhar. The courses provided by the institute are AICTE (All India Council for Technical Education) approved. It intakes 540 students for its B. Tech. courses, 144 for its M. Tech. regular courses and 100 students for its M. Tech. part time courses. 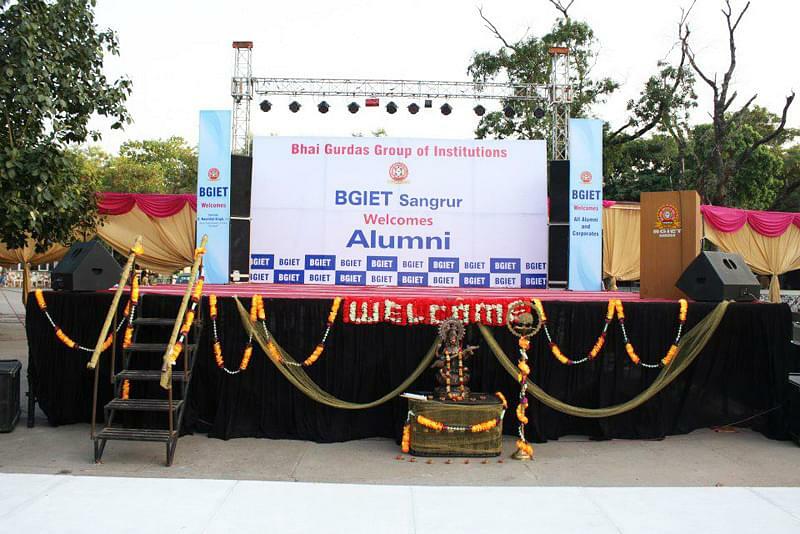 BGIET has tie ups with various international universities including Pittsburg State University, USA, Wayne State University, Detroit, USA, Asian Institute of Technology, Bangkok, Indiana Wesleyan Online University, USA and Washburn University, Kansas, USA under the student exchange program. Some of the companies that visit the campus for placement are Vodafone, Hexaware Technologies, Siemens, Tata Consultancy Services, Satyam, Sasken, Pepsi, Patni, Oracle, Emphasis, Mobera, Infosys, HP, HDFC Bank, Google, Dell, Cognizant, Cisco, Mastek, L&T Infotech, Volkswagen, Kayako Infotech, Birla Sun Life and Indian Army. Wi-Fi: The campus is Wi-Fi enabled. The students can access High Speed Internet Connectivity of 12 Mbps to enhance their knowledge as well as extract e-Information. "One of the best college and staff is very diligent & conscientist"
My admission was based on my diploma performance. I take addmission on the base on ranking on AIEEE their i fill councling of ptu then i take ta addmission 2nd best college in punjab. "Fabulous with Good and bad moments." I took AIEEE exam and my marks is 55. And I choose this college because when I was in 12th, they came in our college for admission purpose and I like the college, so when I was went there then I realized this is good college for my future and I choose this college and one of my best friend also doing Btech from this college and so he also said this is good college and a good for you. So that's why I choose this college.